Mount Kilimanjaro, standing at 5,895 meters high, is the world’s highest free-standing mountain and is one of the Seven Summits. 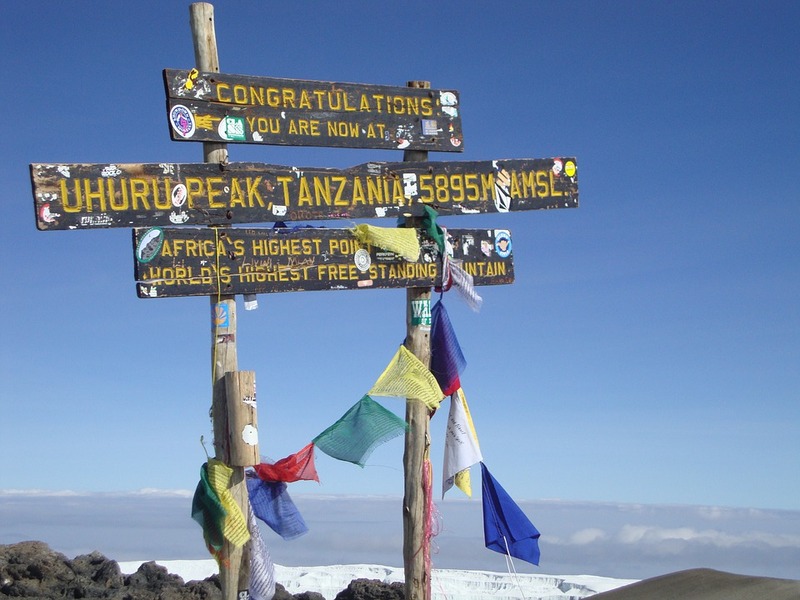 It is also Africa’s highest peak which is why it is cleverly called “the Roof of Africa”. 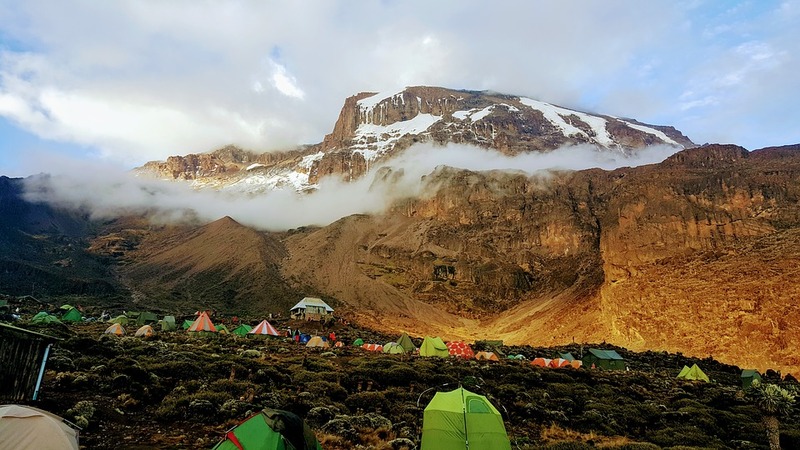 Aside from its amazing facade featuring a year-round snow-capped peak, Kili highlights five distinct climate zones that make each trekker feel like they’ve been through different worlds in just a span of days. Technically the easiest to climb among the Seven Summits, Kilimanjaro remains popular to adventure-seekers not only because ropes and special mountaineering gear are not needed but also because it is an enjoyable trek for beginners and highly experienced climbers alike. The best thing is, there are several different routes available for everyone to choose from! Notably the most popular route and is highly recommended for the impressively scenic views it offers, Machame Route approaches from the south of the mountain. Since it is a fairly difficult trek with steep walks, it is most suitable for adventurous travelers as well as intermediate to advanced mountain climbers. This route is the oldest and most established in the mountain. It approaches from the southern region and is said to be the easiest path due to its gradual slopes. Being the only route that offers hut accommodations as well as paved ways and designated cooking areas, it is also relatively the cheapest as operators wouldn’t need a lot of personnel and paraphernalia during the trek. When it comes to scenery, note that Marangu Route uses the same route on the way up and on the way down. This means you will only be able to see one side of the mountain. However, if you’re visiting on wet season, this is the most preferred trek – thanks to its hut accommodation. Lemosho Route is an underrated route known to offer the most scenic views. It starts at the western part of the mountain which is remote, providing an untouched landscape and picturesque scenery. What’s good about this route is that trekkers get to hike through the world-renowned Shira Plateau and also, this route offers plenty of opportunity for acclimatization. If, however, you’re keen on spotting large wildlife during the trek up, this route cannot guarantee that. For adventure seekers who wish to see large wildlife including elephants and antelopes, Rongai route may be the perfect choice. 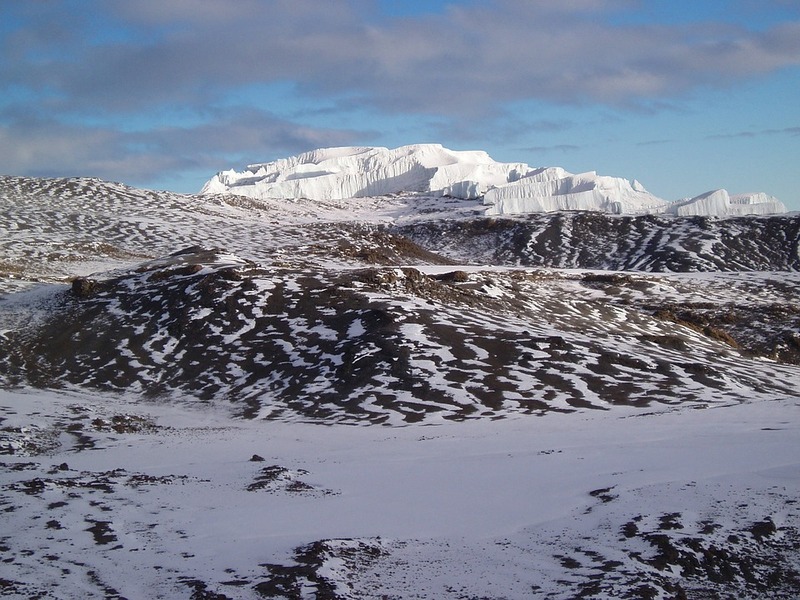 It is also perfect for beginners as it offers the easiest trek, beginning with a flatter surface for the first few days and descending via Marangu route. Since Rongai is less popular than Marangu, it is a great alternative to Marangu. The most distinguished characteristic of Shira Route is its starting point which is at 11, 800 feet which is already pretty high. Hence, climbers who are highly experienced or are confident to hike moderately difficult terrain without any problem on acclimatizing well would find this fitting. Approaching from the south of the mountain, Umbwe Route features a short, steep and direct trek. Due to its quick ascent, it is considered the most challenging route and is only recommended for highly skilled trekkers. The Northern Circuit Route is the newest and the longest route up the summit. It approaches from the western part of the mountain and offers great acclimatization as well as very high success rates. Length: The number of days you are willing to spend in this adventure matters. If you only have a few days to spare, you might want to consider Marangu and Rongai. Difficulty: If you’re a beginner climber with minimal to zero experience, try to veer away from more difficult treks like Umbwe. Unless getting to the peak is not a must for you and the trekking experience is what matters the most. Acclimatization: Some routes offer poor acclimatization and so if you are not known to be well-acclimatized, you have to consider this because acclimatization significantly affects your trekking success to the peak. 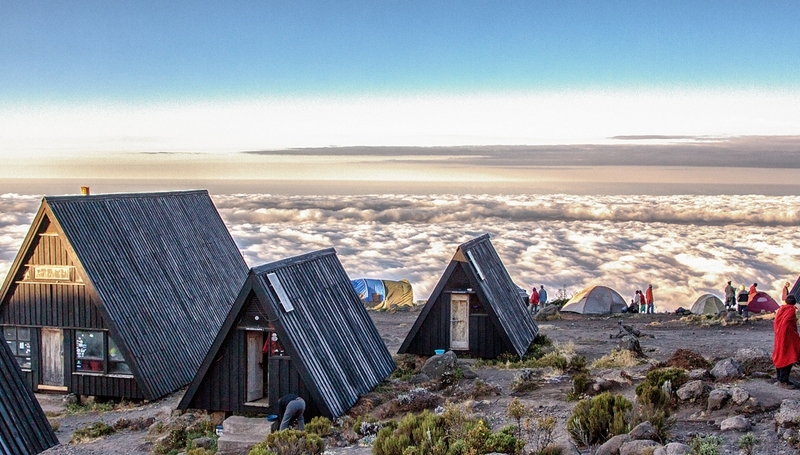 Accommodation: All routes apart from Marangu Route offer tent accommodations. If you’re keen on having a sturdier roof, Marangu has dormitory-style hut accommodation. 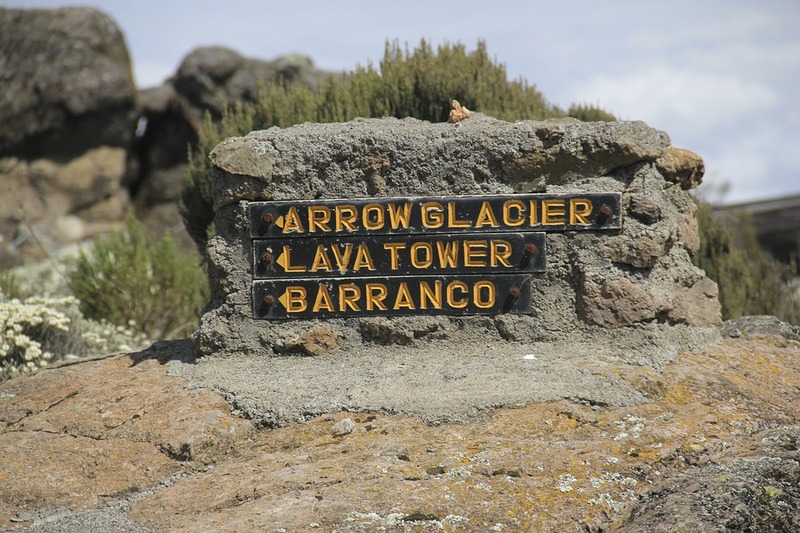 Highlights: Depending on the route, some routes highlight the scenery, others highlight wildlife, some others has the advantage of having excellent acclimatization and one of them highlights their unique accommodation type. Cost: The pricing of any tour should be considered based on the budget that works best for you and your fellow travelers, if any. Mount Kilimanjaro sits close to the Equator and so, it only has two seasons: dry and wet. The mountain is climbable at any time of the year but experts reveal that it is best to climb when there is a lower possibility of precipitation. Thus, the best trekking months are January to February and July to October. Up your adventure with any of the routes! Climbing the magnificent Mount Kilimanjaro is a bucket-list experience that makes any adventure hard to forget! Not only will you be able to conquer a world wonder, you will also be able to write your name in a book stored in a wooden box at the summit — a book that’s surely going to be part of history. 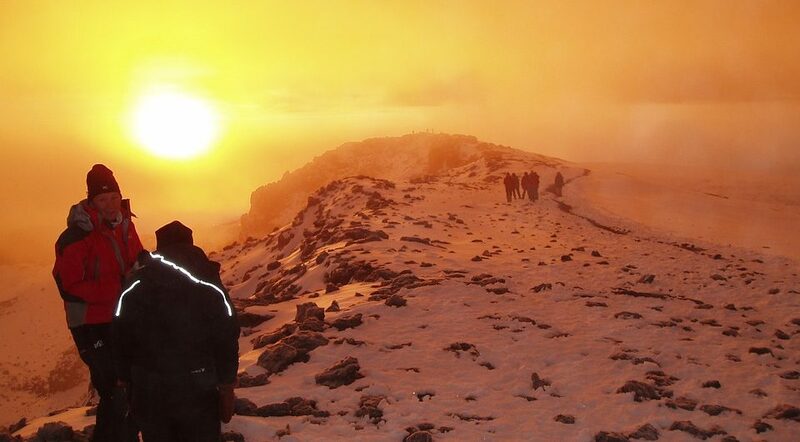 So whichever route you take, a trek up Mount Kilimanjaro will surely bring your African getaway to greater heights. Check out this Kilimanjaro tour if you want to experience the Roof of Africa plus a wilderness excursion: 11 Days Kilimanjaro Machame Route and Wilderness Safari. If you want a sole tour for a Mount Kilimanjaro experience, 6 Days Budget Kilimanjaro Climbing Marangu Route and 7 Days Kilimanjaro Mountain Trekking Machame Route are also available. For other routes, contact us directly for assistance.